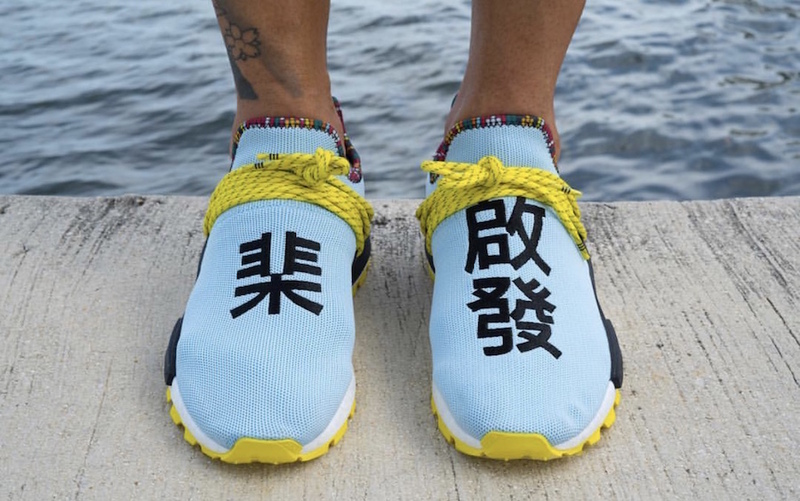 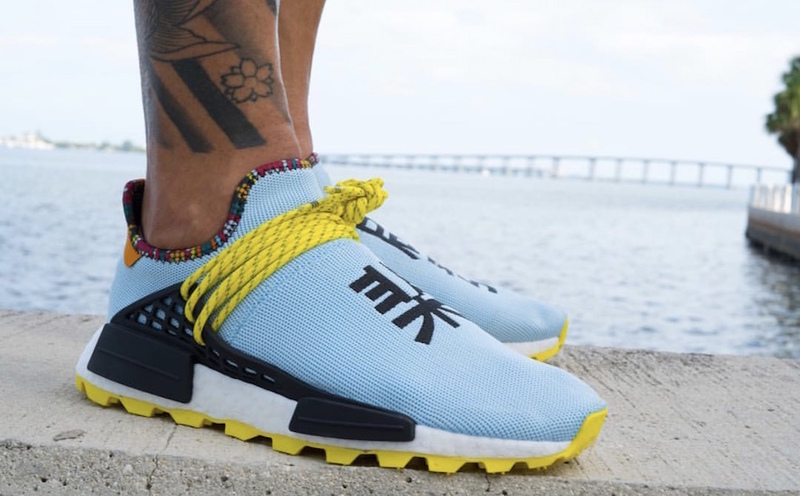 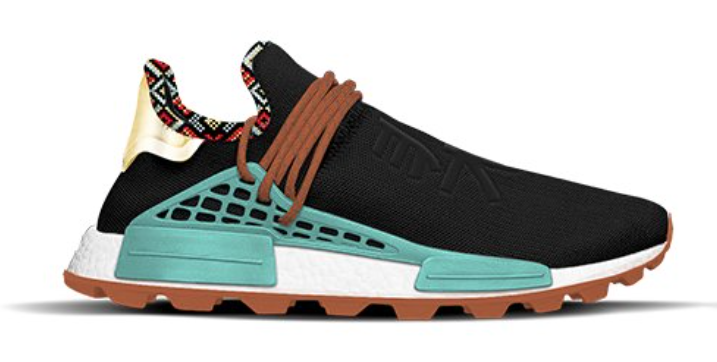 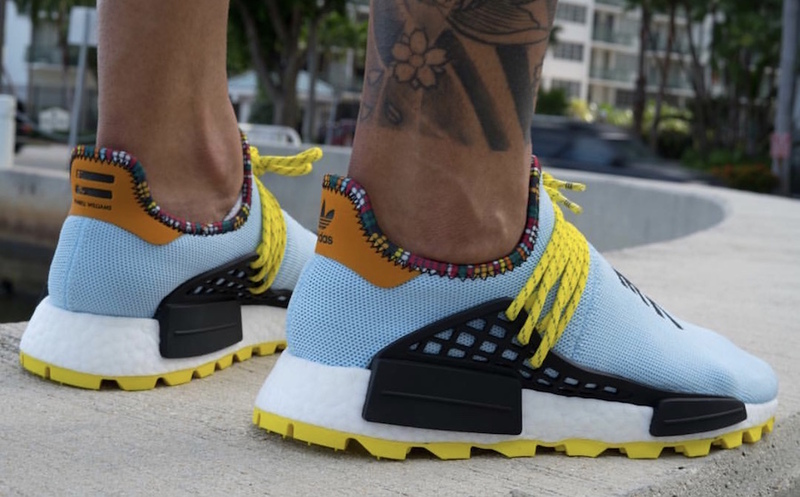 One of the most interesting collabs is between Pharrell Wiliams and Adidas, after their ” Afro” NMD Hu Pack, for the fall there will be a new ” Inspiration” collection. 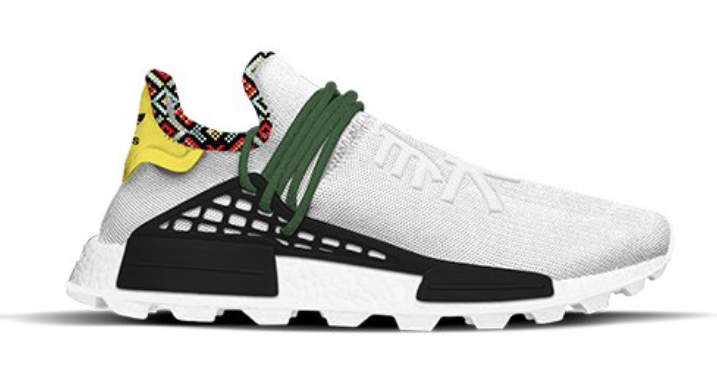 It comes consisted of four color schemes of the beloved NMD Hu design. 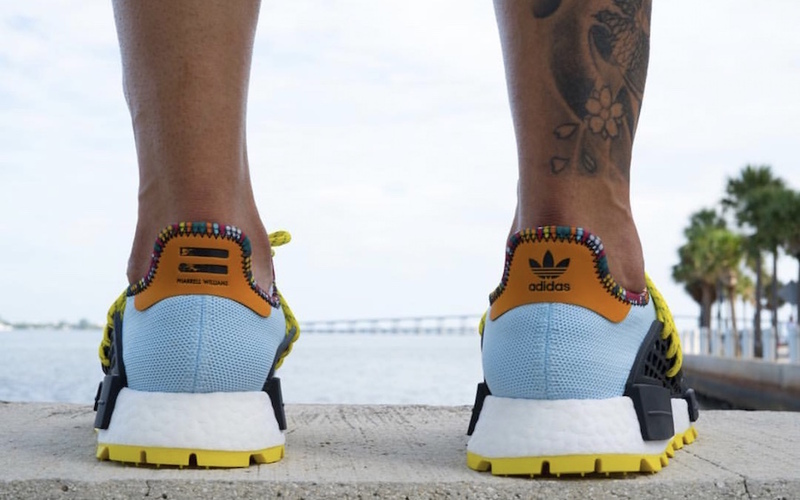 They all feature the customer NMD elements, adding to the stylishly patterned lining. 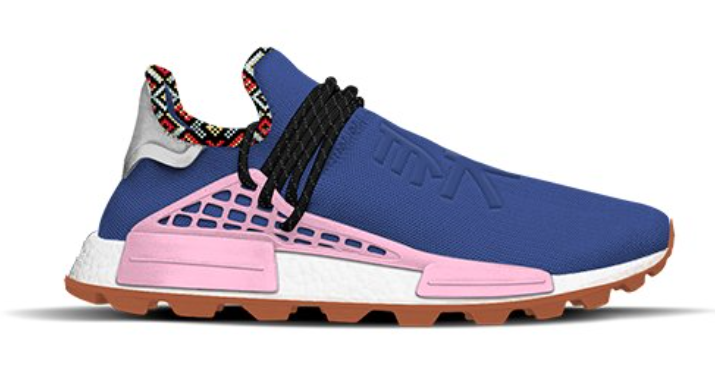 These pairs are done up in Black/Blue-Orange, White/Green-Yellow, Blue/Pink-Orange, and Clear Sky/Black-Orang color options. 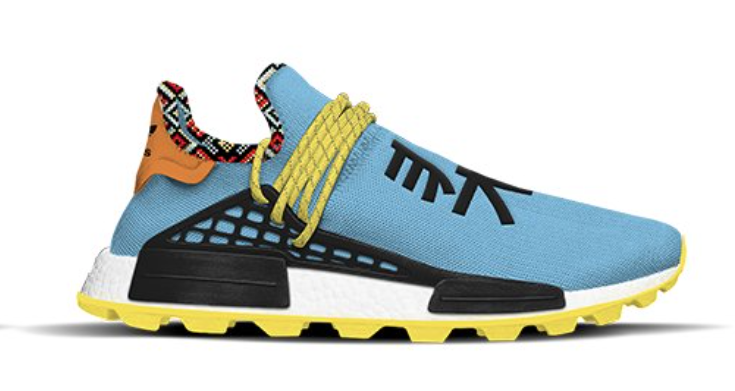 You will be able to see this Pharrell Williams x Adidas NMD Hu “Inspiration” Pack hitting the stores in November at select Adidas originals retailers and on Adidas Store Online. 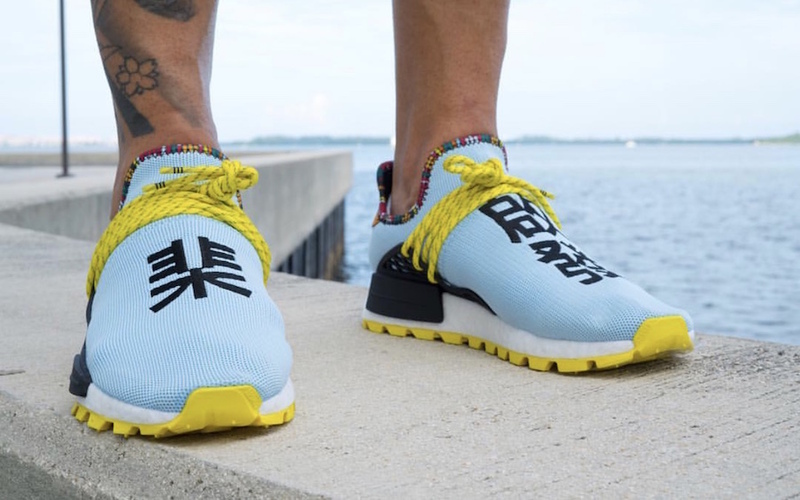 We brought detailed On-feet images of the ” Clear Sky” pair, enjoy checking them below.